Crazy Catch is a game for all level of players, but for those who have mastered the skills then the Crazy Catch Level 3 Vision Ball 6 Pack will provide the challenge those players have been looking for. The Crazy Catch Level 3 Vision Ball has been developed for players aiming to improve basic skills from catching, passing and ball tracking. 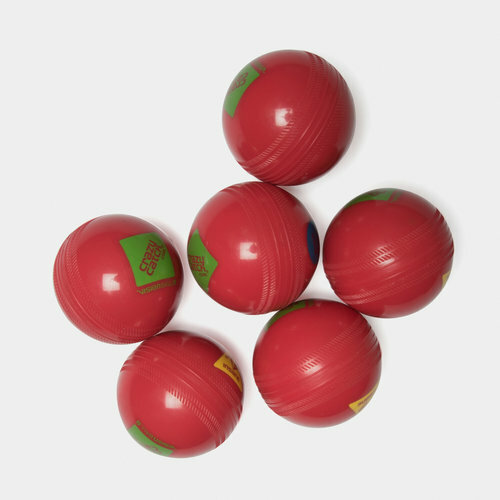 This brightly coloured red ball also helps to increase vision of the ball which makes it easier to catch. Firmer in design than other Level balls, experience different levels of unpredictability when using the Level 3 ball, made for the talented and well-drilled players, the more erratic responsiveness will provide a good challenge. The vision concept still applies with this ball, and the skills of the user will constantly improve.